Happiness is home cooked. 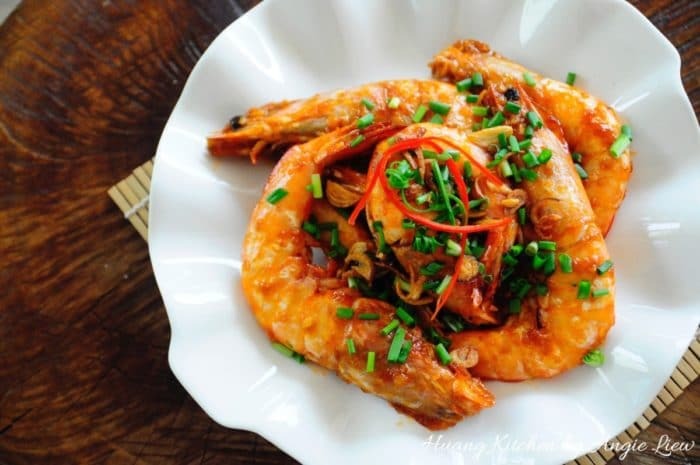 This is especially so for this wok fried prawn dish, as prawns, to the Chinese, is a symbol of laughter and happiness. 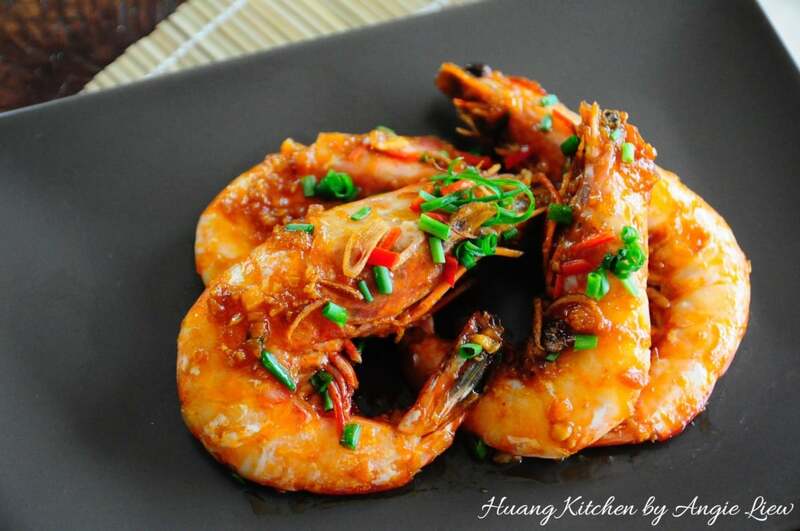 This recipe is a version of the popular chinese wok fried prawns, also known as Har Lok. This delicious seafood dish tastes so GOOD and looks so IMPRESSIVE, your guests will surely be AMAZED. Above all, it cooks quickly, requires minimal preparation and tastes absolutely delectable. Pan frying with the shell on helps to capture most of the prawns’ natural sweetness and you will be amazed how succulent the prawns can be. 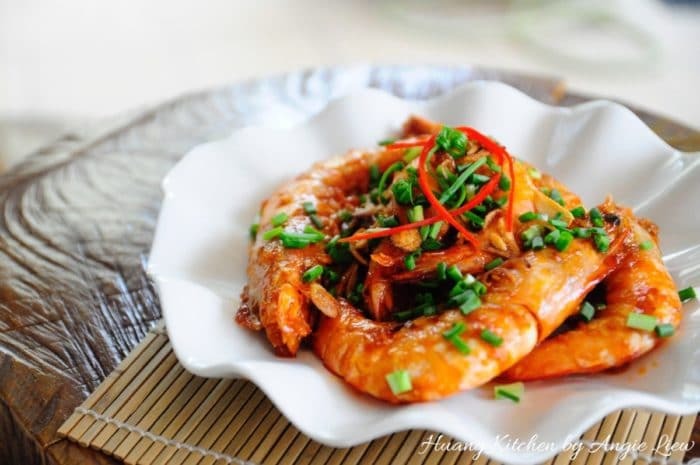 The infusion of the sweet and savoury sauce makes the prawns extremely flavourful and is finger-licking good. 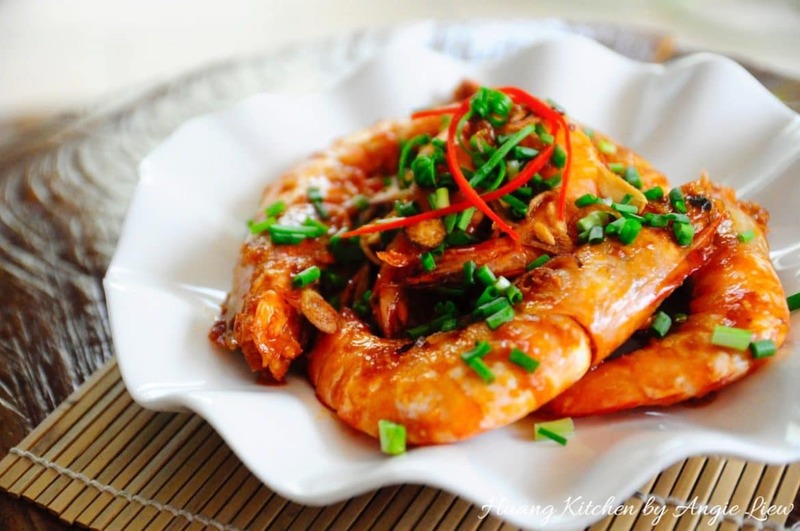 Truly an easy yet delicious recipe especially for the prawn lovers. So ENJOY! 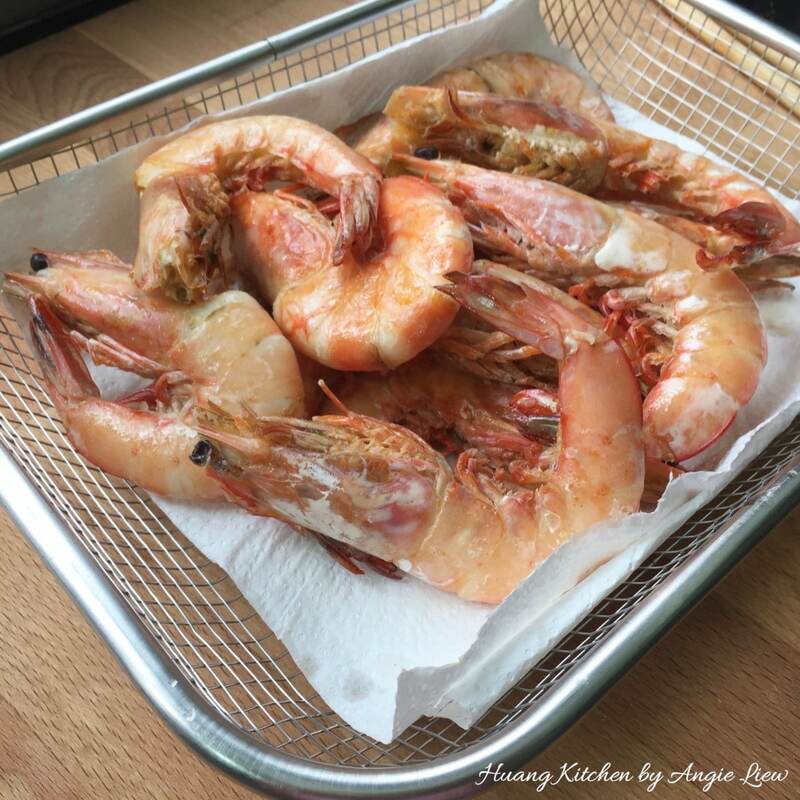 An impressive yet easy prawn recipe. 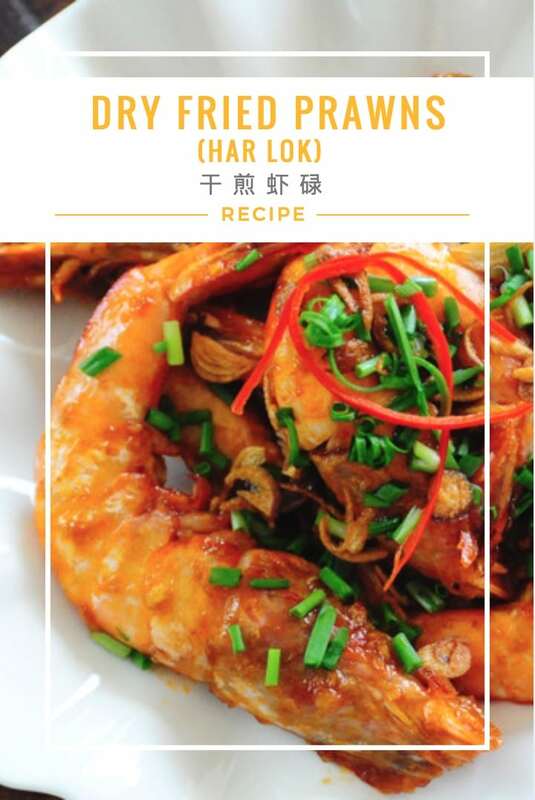 A classic chinese delicacy, this Dry Fried Prawns, or known as Har Lok is so flavourful and finger licking good! First chop young ginger, garlic and spring onions. 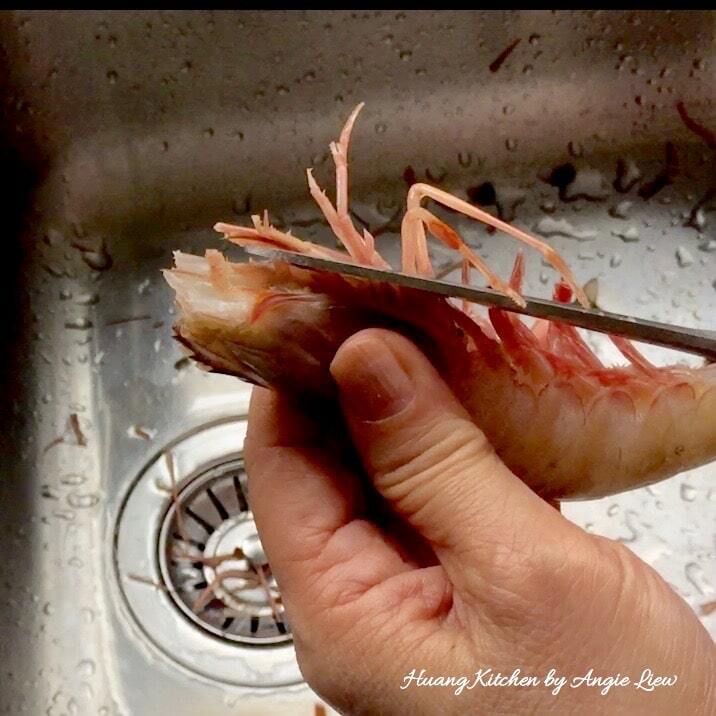 Wash prawns well and snip off whiskers and legs with a pair of food scissors. 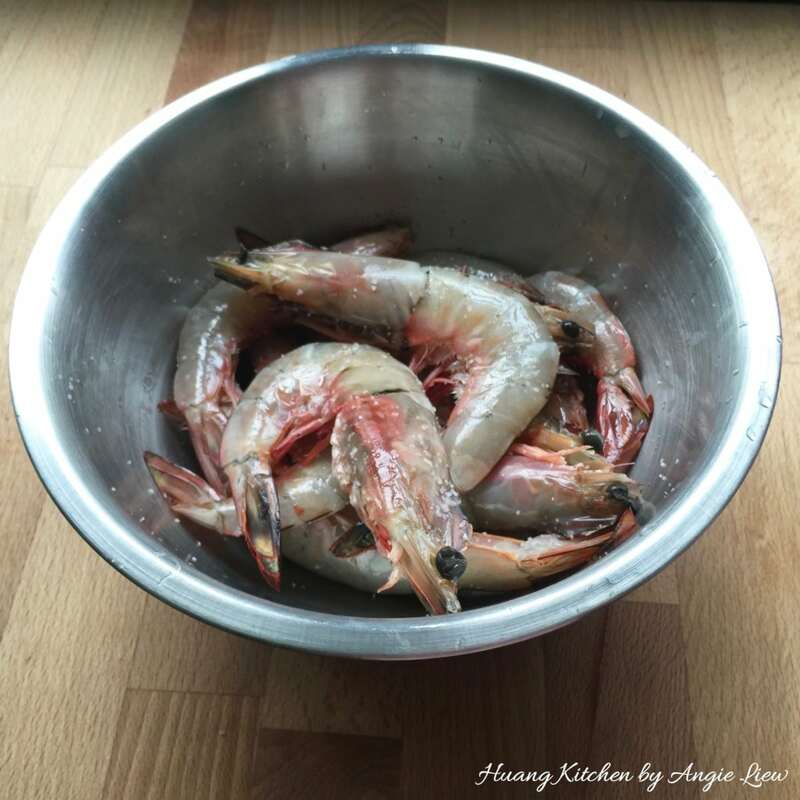 Place prawns in a bowl and season with salt. Leave for 15 minutes. 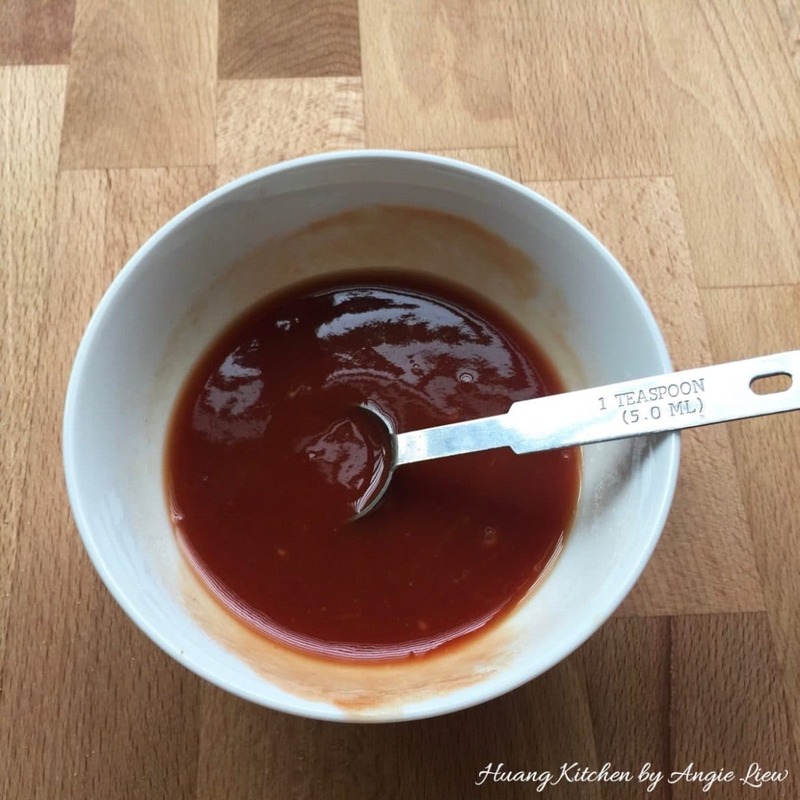 Meanwhile, prepare the sauce by combining all the sauce ingredients in a small bowl. And we're ready to fry the prawns! Heat up oil till just smoking. 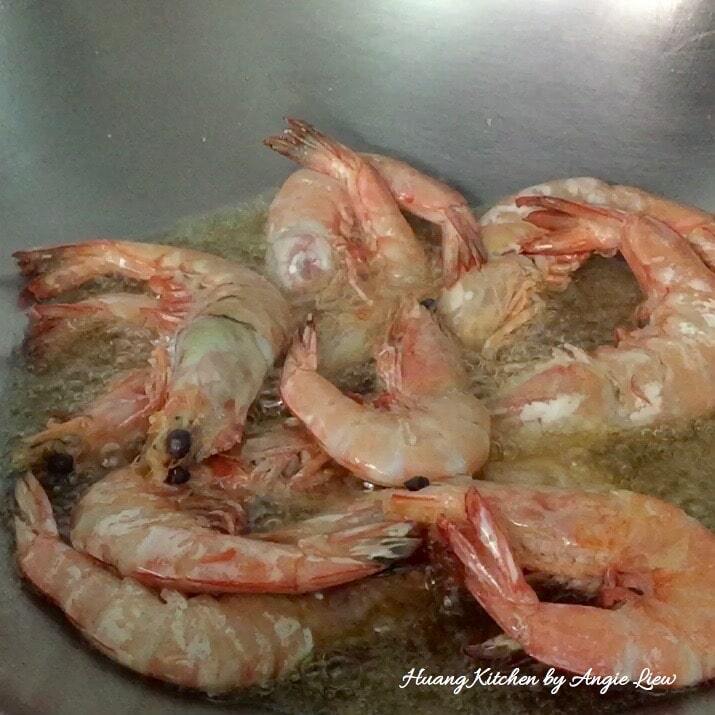 Gently fry the prawns in the wok for just one minute. Do not overcook the prawns. Immediately remove prawns and drain on paper towels. 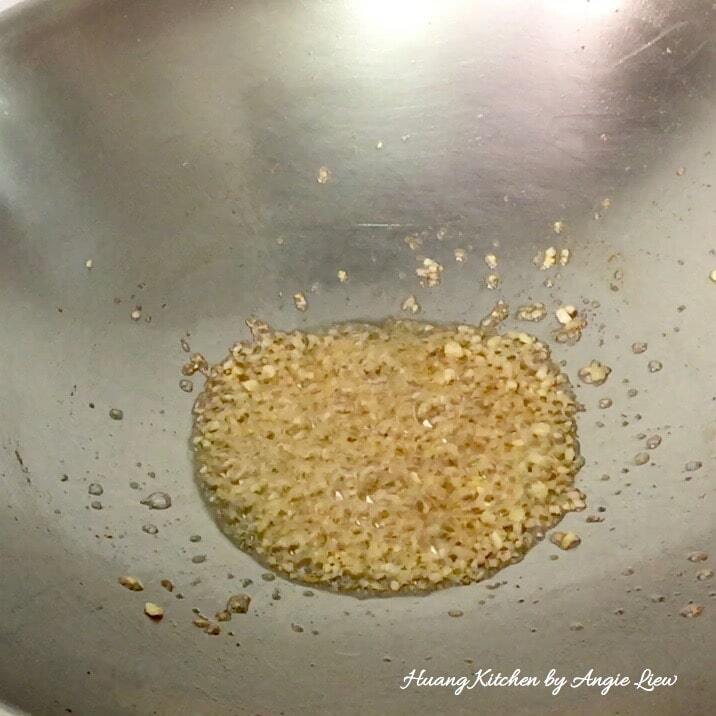 Retain 2 tablespoons of the oil in the wok. Reheat oil till smoking hot and saute the chopped garlic and ginger until fragrant. Add in the seared prawns. 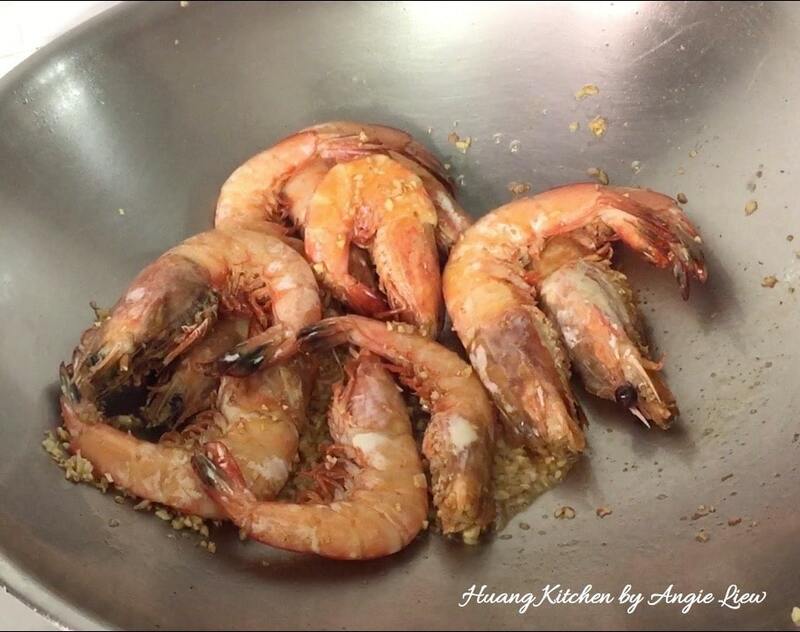 Gently and quickly, mix the prawns well. 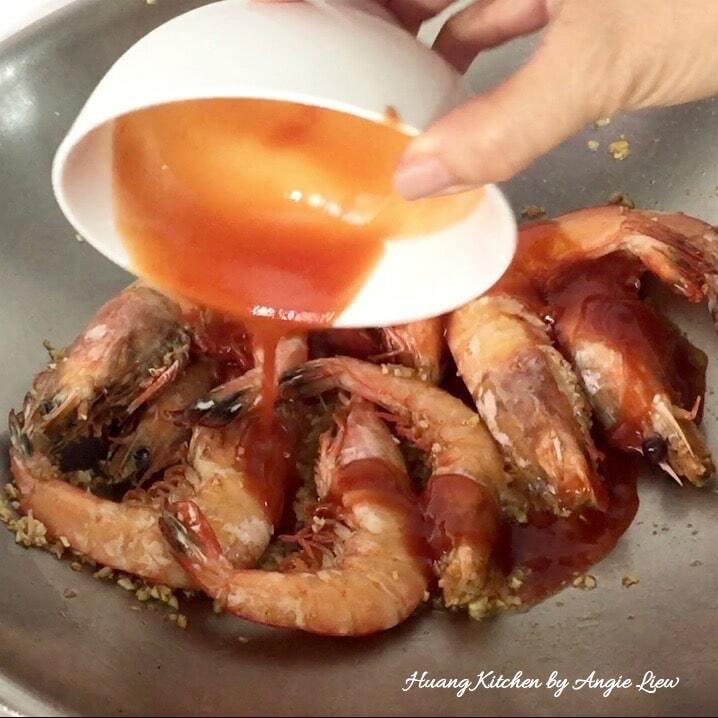 Pour the sauce over the prawns and quickly toss to mix well and until most of the sauce has been absorbed. Scoop out onto a serving plate and garnish with chopped spring onions and serve immediately when hot. ENJOY! The oil to deep fry the prawns must be heated till just smoking. The right temperature is important as the aim is just to sear the prawns. Deep fry the prawns for only 1 minute or so as overcooked prawns will turn tough chewy. Use fresh prawns. Defrosted frozen prawns can work provided it's the best quality possible. Make sure to completely defrost them before you cook.